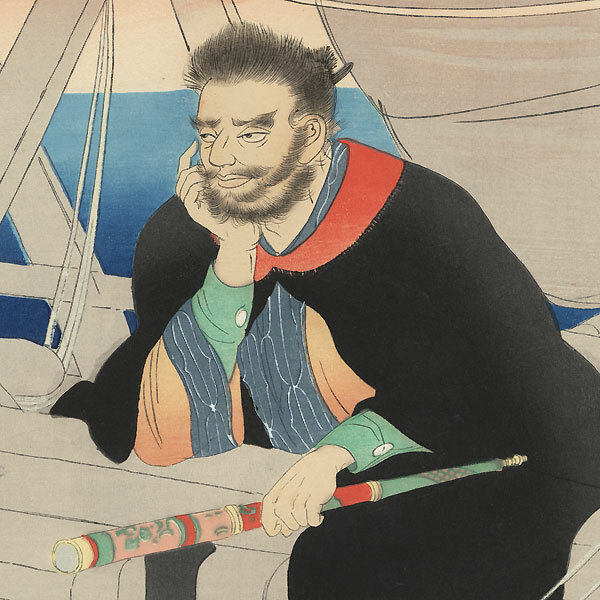 The Sailor Kezori Kuemon - Handsome portrait of the pirate Kezori Kuemon from the play "Hakata Kojoro Nami Makura." He leans over the railing with his chin resting atop his hand, looking out to sea with a telescope in his other hand. 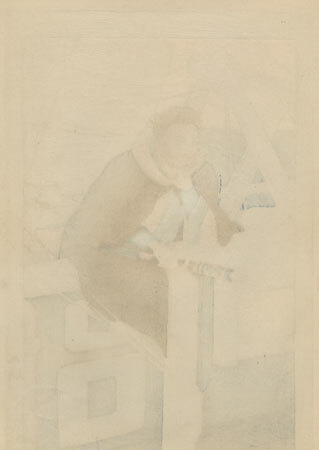 His black coat falls over the rail, worn over a colorful yellow-orange tunic edged with blue and a green shirt. 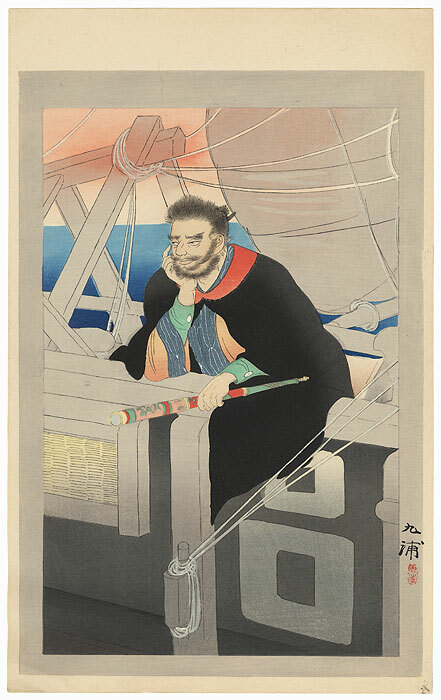 The sail behind him billows in the wind, tied off with lines to the wooden structure at left. The sky behind his is filled with a rosy glow as the sun sets. An interesting design with fine bokashi shading. Condition - This print with excellent color and detail. Slight toning, a few marks. Please see photos for details. Good overall.